You can save an Excel file as a Web page and makes it easy to update data in a worksheet that has already been saved to the Web. Use the drop down arrow beside Choose to select what you want to publish. In the File name field, enter a file name. Place a check beside Auto Republish every time this worksheet is saved. This way the data will be updated each time you make changes to the worksheet. 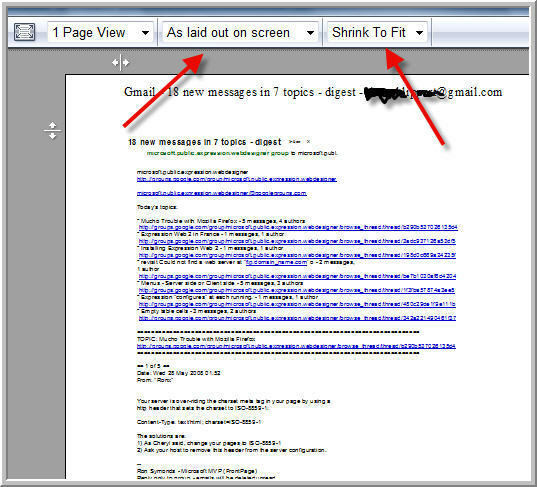 Select Open published page in Web browser to view the data in your Web browser after you click Publish. There is also a page that defines such top level domains as .COM and .NET. "The .cat domain is reserved for the Catalan linguistic and cultural community and is sponsored by FundaciÃ³ puntCat"
How does your site score? Here are a collection of tools that can be used to analyze your web site for validity. Sorry, it doesn't check for source information reliability. The readability test analyses a Web page to determine how readable it is. The CSS analyzer tests for basic accessibility errors such as color contrast and units of measurement. Tests whether foreground and background colour combinations are sufficient using a new algorithm developed by Trace R&D Center. The color contrast analyzer tests whether the contrast between the background and the foreground is sufficient. The image analyzer tests Web pages to ensure that images have been specified properly. The link analyzer lists all links on a page with an icon to indicate whether or not the link resolved successfully. Pre-RSS, the predominate method of communication for members of a like minded group was through an emailed newsletter. Word actually works fine with mail merge to email, but if you want to combine the data gathering and the distribution in a neat package, take a look at this tutorial. Step 1 : Create a simple HTML Form where users can insert their email addresses and an ASP page which will receive the Form email address from the HTML page and insert it into the database. Step 2 : Create a simple Access database to store user's email addresses. Step 3 : A simple admin ASP page from where you can send email messages to all the users whose email addresses are present in the database. Step 4 : An ASP page from where the users can delete their email addresses from the database if they later choose to. Here's how to add a calendar to your web page. HTMLCAL is a Web calendar maker and editor that lets you maintain a group calendar for your Web site or intranet. Surveys can be used to appraise the sentiments of your audience, or just to gather data. Here is a tutorial about how to use the FrontPage tools. "Designing surveys is an art unto itself, requiring careful analysis, skill, and an absolute attention to detail. On the other hand, coding or developing a Web page that contains an electronic form that collects the data from a willing participant is often just as arduous. FrontPage makes developing and publishing a Web form or survey a breeze. Moreover, it doesn't require that you know any programming or scripting languages that interactively collect and dynamically display results from a database as you will see in this tutorial." "A List Apart Magazine (ISSN: 1534-0295) explores the design, development, and meaning of web content, with a special focus on techniques and benefits of designing with web standards. Steal our code? Copy our content? ALA's content is protected by copyright shared jointly by the magazine and its writers, but our source code is freely available to all." You can defend the Internet beginning in the early or late 60's. This link follows the history back to the invention of the "computer" in the 1700's to today. Netcraft survey reports there are more than 74 million web sites online, while in 1993 only 130 web sites existed online. You don't have to show a drivers license (expired or not) to wander through cyber space,but. . .
" . . I'm pissed as hell at how difficult software developers (hello Microsoft!) make their software. I'm pissed as hell at the amount of marketing junk which is loaded onto computers at the store. At every turn, my grandfather gets pop-up messages from AOL, Netscape, Real Media, Internet Explorer and more. I'm pissed that the desktop comes littered with promotionals for CompuServe and AT&T and Compaq which can be difficult to delete. It makes everything that much harder for a senior whose fingers are shaky, whose eyesight is poor and who has never operated anything more complex than a typewriter. As the oldest Baby Boomers prepare to turn 60 in 2006, marketers and the media are waking up to the power of older consumers. Unlike today's seniors, Boomers are dedicated Internet users and broadband fans. As they approach the next phase of their lives, they will challenge companies to keep up with their ever-demanding ways, both online and off. It'll cost about $1,000, but think about the bragging rights! "I love the fact that more and more devices are sporting built-in Wi-Fi. The lone hitch: Wi-Fi is useless without a hotspot. What if you could marry the short-range power of Wi-Fi with the huge coverage areas of high-speed cellular services such as EV-DO to create a portable hotspot? Since EV-DO works at freeway speeds, you could even give Internet access to an entire road-trip caravan. Now I can surf for as long as three hours without being tethered to anything but a cell signal. The project isn't cheap, but prices for the components and service are sure to come down in the next year or so. In the meantime, you can find me in the hills around Southern California. I'll be the one surrounded by PSP-packing hikers." If you like the idea of building your own RSS feed, read on. 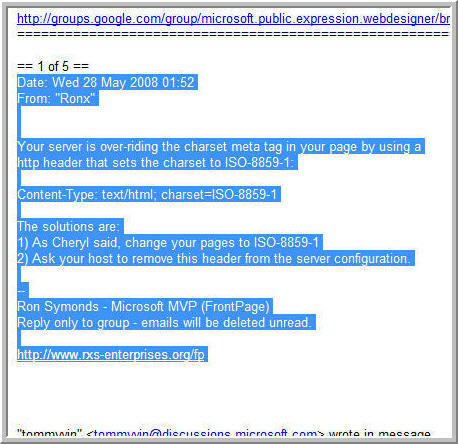 "Learn about RSS and how to programmatically create an RSS file for your FrontPage 2003 Web site. The download that accompanies this article contains a VBA project and an XSLT file that you can use to generate and display RSS feeds. If you spend any time on the Internet, you have probably heard of RSS, and you may decide that you need an RSS feed for your Web site. An RSS feed is an Extensible Markup Language (XML) file that people can use to keep up to date with the content on a Web site. RSS feeds are frequently associated with weblogs (blogs), but you can use them for any Web site. If you have a Web site that contains content that you frequently update, such as articles or stories, you may want an RSS feed to help your customers keep up with your updates. This article explains the XML behind RSS and provides a Microsoft Office FrontPage 2003 Visual Basic for Applications (VBA) project that you can use to programmatically generate an RSS feed for your FrontPage Web site. The download for this article includes an Extensible Stylesheet Language Transformation (XSLT) file that you can use to display the RSS XML file in a browser." A San Francisco company called Learn the Net has produced a basic on-line tutorial about the Internet. If you need a fundamental primer, this might be a place to look. It is not a series of scaled down "baby talk" lessons. You can drill down though the meaning of 403/404 error codes and links to WW3 Generic URI Syntax (RFC 2396) standards. That is if you know how to drill down. "Throughout Learn the Net--in fact on most web pages--you will see words that are in color and often underlined. By clicking on these words, known as hypertext, you jump to other places on the page, to other pages on the site, or to other resources on the Internet." What happens on your computer, stays . . .
"Links to numerous pages on the Web where home users can find software and information relevant to Windows PC privacy and security. It also contains a rudimentary "checklist" of basic steps that home PC users can take to enhance their privacy and security while using the Internet. Finally, you'll find a set of resources developed by the author of this site to help you protect your privacy and security on the Internet, including information about Pretty Good Privacy (PGP) and the Gnu Privacy Guard (GPG)." Remember back not too many years ago when deskbars for search engines appeared? These add-ins could search the Internet or your local machine faster than before. Google was one of the first. Now there are competitors. "A googol is the large number 10100, that is, the digit 1 followed by one hundred zeroes. The term was coined in 1938 by nine-year-old Milton Sirotta, nephew of American mathematician Edward Kasner." Here is a site that will test your connection speed, tell you your latitude and longitude, IP address and more. They provide a one stop location to validate email addresses, locate the host server for a domain, plus trace, ping etc. You can also find out what information your browser is broadcasting to the world. While the Google search engine can find almost anything, Google Search Tips, there are some other sites that have accumulated data lists on a number of subjects. The latest data available from the 2000 census on 46,455 counties, states, cities and places in the U.S.
Find the nearest recommended mailing house in your area. Use free list counts to discover new markets. Find more customers like your best customers. Number of home sales and average sell price by ZIP Code. Individuals who have contributed $200 or more to federal campaigns by ZIP Code. Monthly low, average and high temperatures by ZIP Code. Locate anyone nationwide. Search billions of public records. Generate a count of occupant delivery addresses by ZIP Code. Order your Occupant list online. Demographics by ZIP Code. Including population, family, housing, race, age and more. Location information on over 5,000,000 geographic names worldwide. Information on a nonprofit organizations by ZIP Code. Includes address, revenue, assets, type of foundation and more. The bottom line, don't think your network is safe just because you're not that important or well-known. Assuming that you aren't personally targeted, moderately secure networks usually cause hackers to attack elsewhere. Yet attacks can come from many different sources and your computer should be equipped to deal with each of these types of attacks." Check out your computers vulnerability at GRC.com. When you link to certain sites, you might notice that a graphic is sometimes displayed instead of the IE logo. There are numerous sites that help to create and place these logos. To add a Favicon, upload the file, favicon.ico to the root web directory of your hosted website Make sure the file is named "favicon.ico." When someone bookmarks your site with a browser that supports favicons, your mini-pic will appear. "FavIcon from Pics is an online tool that can generate a favicon from a picture, logo or other graphic of any size/resolution. It was also the first online tool that simplified the creation of favicons using a regular image without requiring manual edits." " Here's a roundup of some of the favicons that caught my eye. Please click through to the sites themselves, to see how the favicon works (or not) with the site. Maybe it will get you thinking about your own site's favicon." KartOO.com is a metasearch engine with visual display interfaces. When you click on OK, KartOO launches the query to a set of search engines, gathers the results, compiles them and represents them in a series of interactive maps through a proprietary algorithm. Great graphics and it's free! Mark Fleming has started a new omnibus site/blog dealing with the vagarities and varieties that make up Google. "In my discussions with other Google users, I am always amazed at how few of Google's tools they have heard of. For the most part, people are only familiar with the main search areas such as the web, news and images. And even in these areas, their knowledge of all the options that would allow them to better harness the power of Google is limited. When I've told others of the vast features and formidable power of Google tools, they are quite frankly astonished. Compounding the problem of this unfamiliarity is the fact the Google does not make much of an effort to even tell us what's new and what's in public beta. You've usually got to hear about it somewhere else or just stumble upon it." "I would like to know how to only print part of email, as all the parts of an email conversations are not necessary to print. I have tried by highlighting the part I want and then choose "select" on print menu - but the font is so small then (no matter which printer I use). I can select in the print menu which pages to print, but that is not always clear where the page breaks happens. I could copy and paste into a word document, but then the details are missing." Make your selection in the gMail document. Right click the selection and choose "Print Preview"
Change to "As selected on screen" and about "150%". You can also turn off the Header and Footer. Now you can print the selection. Awesome!! That works very well. Vista has a built in feature that you'll usually find on the Task bar. It indicates current connections, but if you right click you can find Diagnose and repair. Here's a concise collection of answers about the inner workings of the internet. Websites have both a "friendly" address, called a Uniform Resource Locator (URL) and an IP address. People use URLs to find websites, but computers use IP addresses to find websites. DNS translates URLs into IP addresses (and vice versa). For example, if you type http://www.microsoft.com into the address bar in your web browser, your computer sends a request to a DNS server. The DNS server translates the URL into an IP address so that your computer can find the Microsoft web server. "As a Web designer and HTML builder, one of the first places I visit on a Web site is the site map. The site map shows an entire overview of the structure of the site, and more importantly, indicates how much effort was put into usability testing during the site's construction. "27 percent of users turn to site maps when asked to learn about a site's structure. If your site map is poorly designed, you may lose 27 percent of your Web visitors. That could translate into millions of dollars of missed sales for an e-commerce site, or a massive amount of missed leads for a service company." YouGetSignal.com provides some tools that let you find out more about a web site. Who else uses that server, for instance, and where to server is located. A reverse IP domain check takes a domain name or IP address pointing to a web server and searches for other sites known to be hosted on that same web server. The network location tool is a utility that approximates and displays the geophysical location of your network address on a Google Map. How many pages from your domain are indexed by the search engines? Send report to an e-mail address (optional). * The second and third URL is optional. We're not alone in the great world-wide internet. "In 2006, AOL unwittingly divulged the personal lives of 650,000 customers by publishing their search histories as research data. Despite AOL's attempts to anonymize the info, the New York Times quickly outed a 62-year-old lady in Georgia whose searches revealed her dog was wetting the upholstery." There you are, out in the wilderness of PCdom without a copy of FrontPage around. How do you find out what HTML tags looks like? There are no text files to save and reload. Just write a few lines of text, a few tags, even paste some text in the box from some other application if you want. When you press the button, it will show you how what's in the box will look when run through the web browser your using now. Preview HTML in a new window by entering it into the form. This script allows you to pass anything to a new window. Instructions help you create a preview on your own web page. "The Internet Connectivity Evaluation Tool checks your Internet router to see if it supports certain technologies. You can use this tool on a PC running either the Windows Vista or Windows XP operating system. If you're planning to run Windows Vista, this tool can verify whether your existing Internet router supports advanced features, such as improved download speeds and face-to-face collaboration using Windows Meeting Space. The tool is intended to be run from a home network behind a home Internet (NAT) router. Running this tool from behind a corporate firewall or on operating systems other than those specified above won't produce accurate results. This tool requires administrator privileges to run. Bill Kee, Associate Product Marketing Manager for Gmail, has a blog and has listed 10 major features of the free web based email system. "When you get an email that references an address, look to the right and you'll probably see a link from Gmail pointing you to a map of the address on Google Maps. Gmail also recognizes email text that refers to an event (e.g., 'dinner tomorrow at 8pm'), and will give you a link to add it to your calendar. It'll even pick up on package tracking numbers from UPS and link you directly to the tracking page, so you don't have to copy and paste the number. I really like this last one when I order stuff online and want the instant gratification of knowing a package is on its way. I would like to know how to only print part of email, as all the parts of an email conversations are not necassary to print. I have tried by highlighting the part I want and then choose "select" on print menu - but the font is so small then (no matter which printer I use). I can select in the print menue which pages to print, but that is not always clear where the page breaks happens. I could copy and past into a word document, but then the details are missing. On the whole GMail works well, BUT it requires much more work to accomplish tasks than both Outlook and Eudora. When a web page is created using HTML, the coding is normally contained in one file and the graphics in separate folders. The Mime HTML or MHT/MHTML format changed that. Starting with Office 2000 as an add-in and carried through XP as a "Web Archive" option, the format emerged in Office 2003 as a "Single file web page" selection in the File Save As dialog box. Web Page, Complete means that the contents of the page (including any pictures) will be saved into a folder as separate files, similar to those on the server hosting the site. Web Page, HTML only means that only the HTML information will be saved. This option and Web Page, Complete will enable you to open the file for viewing in Internet Explorer (or any other browser) at a later time, even when you are offline. Web Archive means that the page will be saved, along with any images it contains, as a single file. You can view a Web Archive later without being connected to the Internet. Text File means that only the text on the page will be saved, not the HTML (or any other) formatting, including graphics. This is a tool that lets you see how different typefaces will look on the screen. It also allows you to compare three fonts at once. "The Typetester is an online application for comparison of the fonts for the screen. Its' primary role is to make web designer's life easier. As the new fonts are bundled into operating systems, the list of the common fonts will be updated." "Ok. Let's set the record straight. There is no official guide for each and every CSS shorthand property value. So let's work together and put one together shall we? Ok. Straight to the business. Anytime I've ran into a specification (besides the confusing mess at the W3C), it turns into showing off a couple of examples and you're supposed to be set on your way. Well well. Over the years, I've found quite some interesting unknown quirky facts about these shorthands. . . hence this Guide was born." Are a few of the domains that have been registered. Google engineer and blogger Matt Cutts has defined the pieces that make up a Uniform Resource Locator. The Googlers I've talked to are split right down the middle on which way to refer it. Disputes on what to call it can be settled with arm wrestling, dance-offs, or drinking contests. 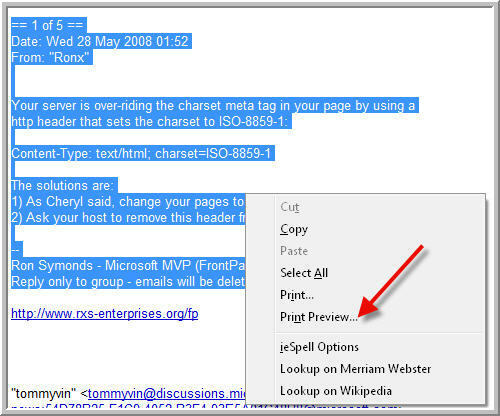 Typically the fragment is used to refer to an internal section within a web document. In this case, the named anchor means "skip to 2 minutes and 30 seconds into the video." "When posting on message boards or blogs, often you want to show or link to an image on another website. Directly showing or linking to that image is called hot-linking. It's generally bad because it leeches bandwidth from the host site, and as a result many webmasters have their servers set up to prohibit hot-linking. ImgRed.com lets you simply enter the original URL in your post as you normally would, but with http://imgred.com/ written before the URL. When this is viewed, the image will be copied once* to imgred.com, and from then on the image will always be served from imgred.com instead of the host site. *ImgRed is not an archive service, and occasionally its cache is cleared out (once a month or so), so images are not literally cached forever. "You can upload many videos at once, and in various formats, too. (mov .avi .wmv .mpeg). You also won't have to worry about file size - just keep any video you upload under 500 Mb. Your position in the timeline of a video determines where your comment will be posted to, which brings the discussion to a whole new level! "Viddler is very different from other video-delivery based websites, because we stream our videos instead of having the user download it. That means you get to watch videos without having to wait for the entire video to load. This is especially useful when you want to view the last few minutes of a very long video. It's a secure system and prevents other people from watching the video (in ways they're not supposed to) or ripping the video off the site. Video that you host with Viddler cannot be stolen, or used in any fashion, unless you set your sharing options to allow it." RSS feeds can give you a flow of new information. Ever want to see what a web site looked like in the past? Take a look at the the Wayback Machine . "Browse through 30 billion web pages archived from 1996 to a few months ago. To start surfing the Wayback, type in the web address of a site or page where you would like to start, and press enter. Then select from the archived dates available." "is building a digital library of Internet sites and other cultural artifacts in digital form. Like a paper library, we provide free access to researchers, historians, scholars, and the general public." "This feature of Ghost Sites was launched in early 2000; it is an image gallery of some 1,250 screens captured from some 900 Web projects that for various reasons "went dark" during the years 1998 to 2004. Some had a chance to post a self-penned epitaph in the form of a "farewell screen"; others simply expired and drifted lifelessly, with no visible indications for their demise." Internet connection problems can, sometimes, be traced to a corrupted DNS cache. 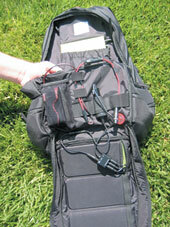 Flushing this cache is an easy fix to many of these problems. Here is how to fix that corrupted DNS cache in vista. To view the DNS cache, type ipconfig /displaydns at a command prompt. "We're happy to introduce our latest publisher service: the Headline Animator. When you burn your RSS or Atom feed with FeedBurner, you can take advantage of this cool, different way of looking at your feed. Anonymous surfing is exactly what the terms suggests. You go online without revealing any of the personal or technical information on your computer. It's done by having a special computer -- called a proxy server -- screening you from the websites you are contacting. Your computer contacts only the proxy server, which contacts the website for you. The website, in turn, sees only your proxy server and not you. In addition to hiding your IP. Google still rules the search engine world. Here are a few tips on how to refine your info-hunt. The Internet: A Short History of Getting Connected. When the Defense Department issued a $19,800 contract on December 6, 1967, for the purpose of studying the "design and specification of a computer network," the world didn't take notice. But it should have. For, from that small, four-month study grew the ARPANET. And, from ARPANET emerged the Internet. "An elegantly organized tour of the history of the Internet -- both fun and informative -- a rare combination!" Steve Crocker, invented the Request For Comments.